Instagram is no longer just for teenagers but has found its way into the social media strategy of many entrepreneurs, small business owners and large corporations such as Nike, Starbucks and Maybelline. According to statistics, Instagram is the fastest growing social network in the world and now boasts 300 million active users. In addition, according to a study by Forrester Research, Instagram’s engagement was 58 times greater than Facebook and 120 times greater than twitter. Talk about Instagram being the King of Social Media Engagement! Also, from a user-interface perspective, Instagram is the best laid out social network. Unlike other Social Media networks, with Instagram, you can only see one post on your screen at a time which allows a brand or business to clearly communicate their message to an already engaged audience. Now that I have hopefully convinced you to add Instagram to your arsenal of social media marketing platforms, How do you go about growing an Instagram following? It is important that you use hashtags on your Instagram posts as Hashtags help users find your content by grouping them with other photos that have the same hashtag. 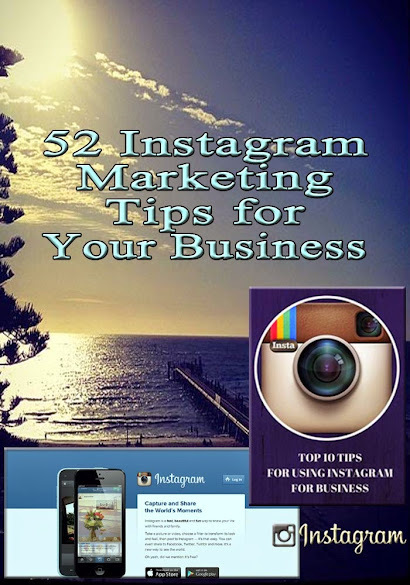 This gives your Instagram posts more visibility and targeted views from people who actually want to see your content. To find the relevant Hashtags for your Business, simply go and type in the keyword for your Business in Hashtag tools such as Hashtagify.org and Hashtags.me and it will return a list of other related hashtags and their associated volume which you can tag your posts with. Creating a unique hashtag for your business or brand is not only a great way to stand out from other brands, people can also find you easily by searching with your Hashtag. In addition, this is also a great way to gain new content for your brand, for example, instagrammers that use the “wordswag app” to create beautiful photos will tag their pictures with #WordSwag or #WordSwagApp giving the app loads of exposure and heightening the possibility of others discovering it. Trending hashtags are hashtags based on what is happening at the moment for example, #ThrowBackThursday on a Thursday, #FathersDay #MothersDay. You can make use of trending hashtags by posting content (Photos) that are relevant to the Hashtag which then exposes your content to a much larger and engaged audience. When fellow instagrammers land on your Instagram account, the first thing they see is your Profile. Be sure to make it a good one! Use a good photo and try as much as possible to make use of the same profile image across social media platforms so that viewers can immediately connect with your brand. Also let viewers know what you do and most importantly, how you can help them achieve a specific goal they want to reach. Lastly, a great thing to add is a link to a site where your followers can further connect with you outside of Instagram (Your Profile area is where you find the 1 clickable link on your Instagram account). It’s a great idea for this link to be to a site where you are giving away something that is of value to your target audience, for example, a free eBook, cheat-sheet, audio or video. This will encourage your followers to give you their name and email address in exchange for your free give away giving you the opportunity to further build a relationship with them via email and other methods you might employ. Like posts from your target audience’s account and leave genuine comments as well, not just “nice” or “great photo”. A practical way to do this to get results, is to pick an account from your target audience daily, like at least 5 of their posts and comment on 3. This will make your target audience notice you, come back to your account to find out more about you and most probably give you a follow if they like the content you are sharing. Also be sure to follow some members of your target audience and others in your niche, remember, Social media is a 2-way street. Lastly, to find members of your target audience, find out what hashtags they would normally add to their posts using tools like Hashtags.org and Hashtagify.me and then search for them using these hashtags. Another way to find your target audience on Instagram is to view your competitors’ followers. Decide how you want to come across to your audience and create a theme around your photos that reflect this. This way, your audience will begin to easily identify with your brand and know what to expect of you. So for example, do you want to come across as a brand that is fun? Colourful? Bright? Passionate? Whatever you choose, let your photos reflect this. Also Brand your Pictures with your website link or Instagram account name by adding this to your Photos via text or a logo. This way, whenever your Photos are reposted or shared elsewhere, they still carry your brand name along with them. As your followers grow, you definitely don’t want to lose them by ignoring them! So as your audience comment on your posts, be sure to respond to enquiries and even thank them for their comments. Running a contest is one of the quickest ways of growing your Instagram followers. You can ask followers to take specific actions such as following you, liking a post, commenting on a post with a specific hashtag you have created or even tagging their friends in your post. At the end of the set contest time, you then choose 1 or more winners (it’s all depends on what you want) and then give away a prize or prizes that are relevant to your target audience. For example, if you are a jewellery retailer, it would make more sense to give away jewellery as your prize instead of an iPad. The great thing about running a contest is that while your audience are contesting for your give away prize or prizes, your Instagram following is growing and engagement on your account also increases due to the specific actions being taken by the contestants to win the prizes. Do you already have followers on Facebook? Twitter? Pinterest? Do you have an Email list of Subscribers? Ask them to follow you on Instagram if they are not doing so already! In addition, you can add an Instagram widget to your website so that visitors to your site know that you are on Instagram and can follow you there as well! Ask! Ask! Ask! It’s a good habit to tell your audience and followers what you want them to do. Ask them to follow you for more great content (if they are not doing so already), ask them to like and comment on a post or even expose your post to their friends by tagging them in a comment on your post. There is a reason why your audience are following you, so make sure you deliver on it. Look at your posts and find out what your audience like and give them more of those! Inspirational quotes, tips from your area of expertise and behind-the-scenes pictures of your business are some of the sure things audience usually like to see. Search for users who have an audience similar in size or larger than yours and their content must also be one that is similar to yours, that is, their followers should be people who would be interested in your content as well. Once you find these users, start to build an authentic relationship by liking, commenting on and sharing their posts. You can then take the relationship further by approaching them to be a guest contributor on their account or get some of your posts featured on their account and vice-versa if they agree. You can always contact this users via direct messaging on Instagram or any other contact information they might have made available on their account. Now over to you! Have you tried any of the 10 suggested ways above and which ones have you had success with? Will you be trying any new ones you haven’t tried before?